Jim Harbaugh, the most coveted coach on the market, is leaving Stanford for the San Francisco 49ers. A person with knowledge of the situation says Jim Harbaugh is leaving Stanford to coach the San Francisco 49ers. The person spoke on condition of anonymity to The Associated Press on Friday because the team has yet to announce the hire. The team has scheduled an afternoon news conference in San Francisco. 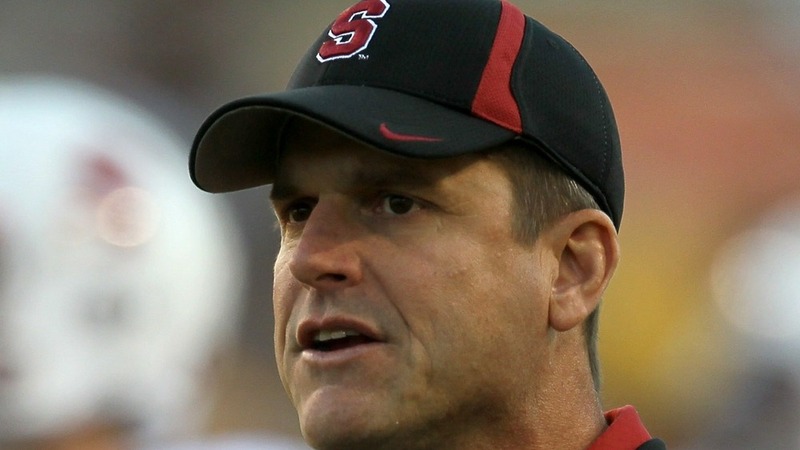 Harbaugh, who will replace fired coach Mike Singletary, also had been considering an offer from Stanford to stay put. Jim Harbaugh agreed to a five-year, $25 million contract to become the San Francisco 49ers’ head coach Friday, according to team and league sources. The 49ers announced a news conference scheduled for 6:30 p.m. ET, but did not indicate the reason. Earlier Friday, a source told ESPN senior NFL analyst Chris Mortensen that Stanford was the favorite to retain Harbaugh’s services. On Thursday, Harbaugh met with top Stanford officials — including university president John Hennessey — so that the school could make its best offer to try to retain him. The university reportedly increased an offer it had made to Harbaugh in December. The 49ers met with Harbaugh Wednesday, and a source said that on Thursday night, after news broke that Harbaugh would not go to the Miami Dolphins, San Francisco was willing to increase its offer. This makes great sense. While he’s a Michigan grad whose best days as a pro were with the Chicago Bears, Harbaugh’s a California guy. The Stanford job is a much better one than the newly vacant Michigan one. Sure, it’s his alma mater and it’s one of the storied programs in the history of college football. And it would pay more. But the expectations are unreasonable and he’d have to uproot his family. Stanford is already a top program. If he wanted to stay in college, Stanford was the obvious choice. And, yes, $7 million or whatever from the Miami Dolphins would have been a sweet deal. But that would have engendered all manner of animosity from other coaches, fuming that a first-timer was making all that money. And expectations would have been through the roof. The fact that they were openly courting him while Tony Sparano is still the coach didn’t help matters. He can take over the 49ers, a franchise with a proud history of its own, without moving to a new house. His kids can stay in the same school. And, while $5 million isn’t $7 million, it’s not exactly chopped liver. He is an NFL coaching legend. 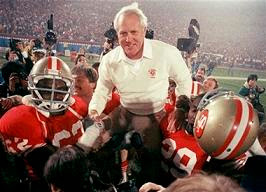 SAN FRANCISCO – Bill Walsh, the groundbreaking football coach who won three Super Bowls and perfected the ingenious schemes that became known as the West Coast offense during a Hall of Fame career with the San Francisco 49ers, has died. He was 75. Walsh died at his Bay Area home early Monday following a long battle with leukemia, according to Stanford University, where he served as coach and athletic director. Walsh didn’t become an NFL head coach until 47, and he spent just 10 seasons on the San Francisco sideline. But he left an indelible mark on the United States’ most popular sport, building the once-woebegone 49ers into the most successful team of the 1980s with his innovative offensive strategies and teaching techniques. The soft-spoken native Californian also produced a legion of coaching disciples that’s still growing today. Many of his former assistants went on to lead their own teams, handing down Walsh’s methods and schemes to dozens more coaches in a tree with innumerable branches. Walsh went 102-63-1 with the 49ers, winning 10 of his 14 postseason games along with six division titles. He was named the NFL’s coach of the year in 1981 and 1984. I got to see the first of Walsh’s three Super Bowl wins in person. My father knowing Cincinnati Browns owner Paul Brown’s brother-in-law(Ironically Walsh was an assistant under Brown once), who when not able to go to the game, gave the tickets to Dad instead. The game, a 26-20 49er win, was a pretty good one so far as the Super Bowl is concerned. 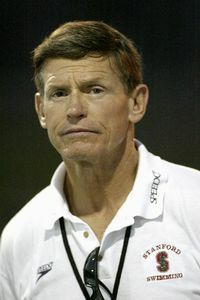 Walsh also coached at Stanford in addition to supplying the NFL with a large number of head and assistant coaches. Many of whom are still working today. Bill Walsh will still leave his mark on Pro football even after his passing. RIP. Rugby is still an obscure sport for most in the country, relegated to a side show status at most parks played purely by amateurs and retired professional players. 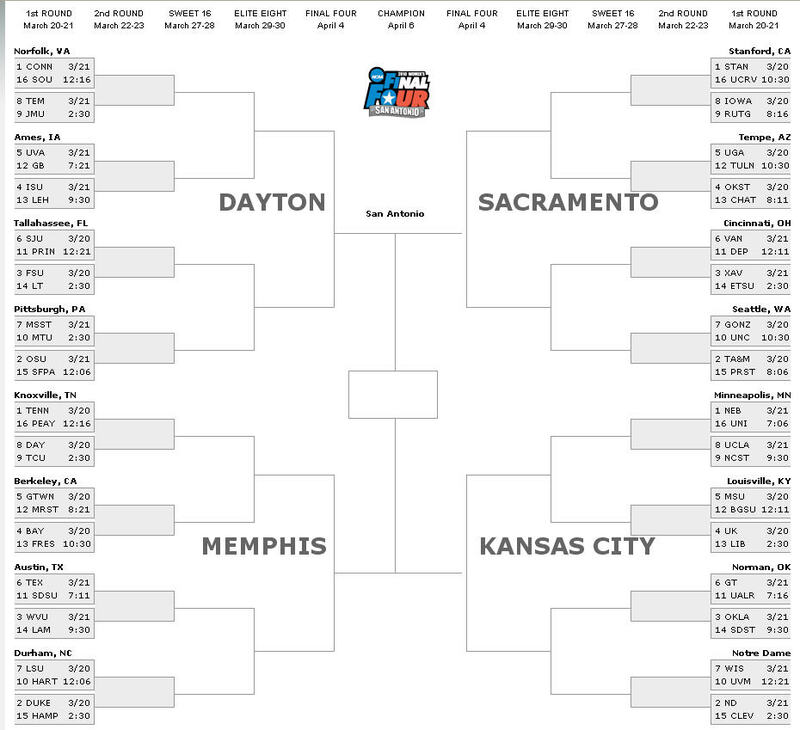 In the college ranks rarely do the teams get school support as an athletic program (usually because of insurance costs and Title IX compliance) however; the Cal Bears are one of the lone exceptions. This year marks the beginning of the teams 125th season and the quest for a 23rd National Title, in the past 24 years Cal has posted a 391-64-5 record and 18 national championships. Of course in 2001 Cal was involved one of the most embarrassing moments in rugby when Stanford University forfeited to Cal because the team was “very afraid to get injuredâ€. Committing the cardinal sin of rugby led to Stanfordâ€™s demotion to Division 2 (where they promptly won a national title) as well as being the laughing stock of the entire rugby community. If youâ€™re interested in an opportunity on US soil to see world-class rugby being played at the USA Sevens Tournament in San Diego on February 10-11th is a perfect opportunity. Michelle Wie celebrated her first victory of the year â€” she got accepted to Stanford. The 17-year-old senior at Punahou School in Honolulu said Tuesday she would enroll in the fall, dispelling any talk she would concentrate exclusively on her professional golf career once she finished high school. Wie has been mixing school and tour golf since she played three LPGA Tour events at age 12. She turned professional in October 2005 and earned close to $20 million this year from endorsements, earnings and appearance money overseas. And while she still hasn’t won on the LPGA Tour â€” she had three close calls in the majors â€” Wie said her nerves were never more jangled than waiting to see if she had been accepted. She got the news Friday. Wie’s grandfather, an aunt and an uncle went to Stanford, and that was her first choice all along. After a final exam Friday morning, she asked to be excused from English, bringing two friends to the computer lab to punch in the code and she if she had been accepted. “They screamed, I screamed, we were reading the letter out loud, and everyone gave us these weird looks,” she said. I’m happy for Michelle and wish her well in school. It’s incredible, but I couldn’t find any errors in the above Doug Ferguson story. Has he finally learned to fact check?